Our focus is to help you boost sales by offering payment solutions that put customers choice and experience ahead. 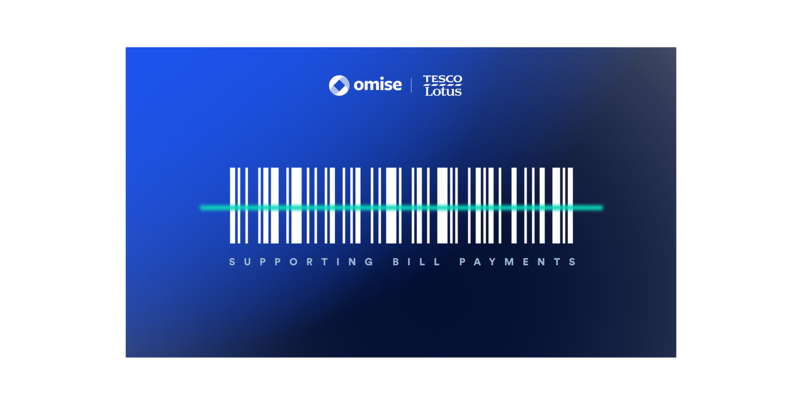 We’re super excited to let you know that starting today, Omise merchants in Thailand will be able to offer cash payments at Tesco Lotus as an option for customers to pay. Increasingly we see consumers shifting over to online payments, however a large percentage still prefer to pay by cash over-the-counter. Tesco Lotus is currently the most preferred outlet by consumers, with more than 1800 locations across the country including 24-hour Lotus Express stores. During the check out process, after entering their shipping details, the customer gets to select the payment method they prefer. To pay by cash at Tesco Lotus, simply select Tesco Lotus. Systems will then generate a barcode (as shown below). To pay, the customer simply prints out the barcode and presents it at any service counter at Tesco Lotus. Remember that the barcode will be valid for 24 hours only. How to enable the payment option on your website? Like any other feature we offer, you can always test how things work before going live and start accepting actual payments from you customers. For those of you who already have a live account with us, don't forget to switch to test mode and use your test keys to test the service. You can read the documentation here.